The 2.5 R5 TDI PD is the next generation of 2.5-liter inline diesel engine after the 2.5 R5 TDI. The engine saved main dimensions and configuration, but it is the new development. The engine is entirely made of aluminum alloy. There is a new design of cylinder block made from a high-strength aluminum alloy. It has plasma-coated cylinder faces, and that means there are no cylinder liners. In this case, it is almost impossible to rebuild this engine block. The Transporter 2004 has the starter mounted on the gearbox side, so the cylinder block doesn’t have the mounting place for them instead of engine blocks for VW Touaregs. The crankshaft goes with the integral vibration damper. The engine got a cross-flow designed cylinder head (intake ports and exhaust ports are on opposite sides of the head) which provides better gas and air flow. The head has two valves per cylinder (10 valves total), tappets and single camshaft on top (SOHC). The timing belt was removed, and now there is a gear train. The alternator, the vane pump for power steering, and the air conditioner compressor are driven directly by the gear train also. The engine has the second generation of camshaft-actuated Bosch Pumpe Düse (DP) unit injectors and direct injection (pump injection system). Exhaust gases spin the Variable Turbine Geometry (VTG) turbocharger and air went through an intercooler into a cast aluminum intake manifold. This engine is equipped with exhaust gas recirculation system and an exhaust gas recirculation cooler in several variants. All engine operation is controlled by torque-oriented Bosch EDC 16 engine management system. The max power difference between the 131 hp (96 kW) variant and the 174 hp (128 kW) variant is due to software modifications and turbocharger design. The 2.5-liter TDI PD engines are not as durable as the previous version. But it is a pretty good engine and very reliable if you do the maintenance well (400-500k trouble-free miles). Some peoples had cylinder head and camshaft issues, but more often because of using the wrong oil. Some engines had the rubber seals wear slots in the fuel chamber around the injector and leak diesel fuel into the oil and drop pressure. AXD - 131 hp (96 kW) at 3500rpm, 250 ft lb (340 Nm) at 1900 rpm. This engine fits into VW Transporter 2004. AXE - 174 hp (128 kW) at 3500rpm, 295 ft lb (400 Nm) at 1900 rpm. 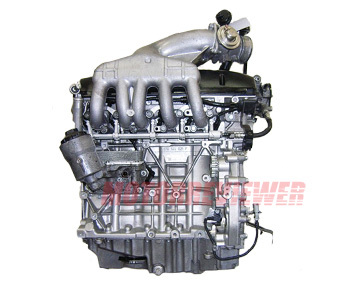 This engine fits into VW Transporter 2004+. BAC - this engine has the same specs as AXE but it is designed for VW Touareg - longitudinal mounting.